Good morning everyone, firstly let me say sorry for not being around much and not posting as much as I would have liked, sometimes family life just gets in the way. Well with the school holidays over and everyone back to normality I hope to be posting more often and bringing you a few tutorials. 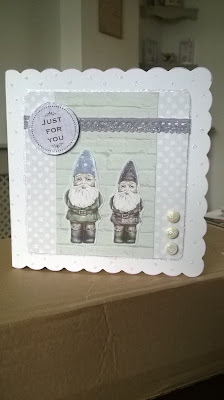 So what have I been beavering away at recently I hear you ask............ 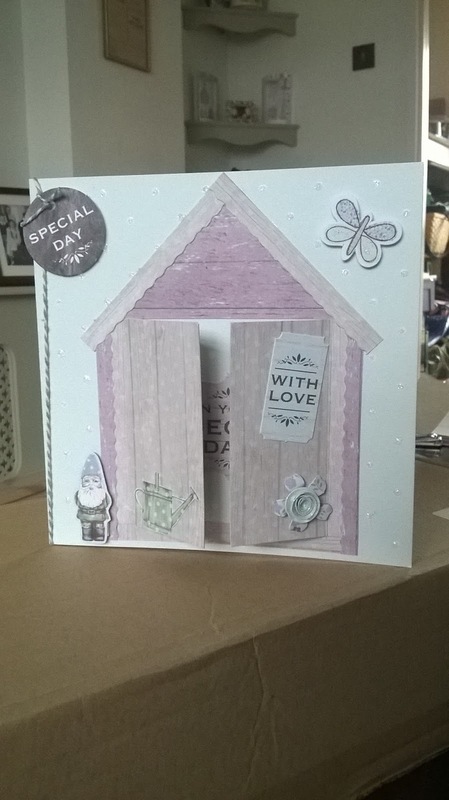 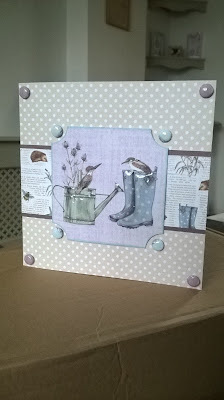 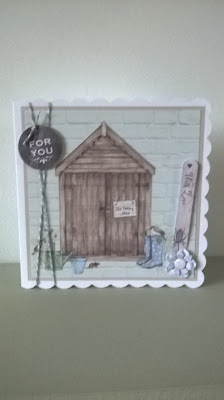 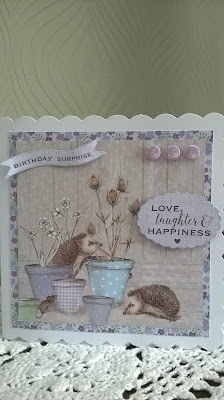 I have been playing around with a couple of new kits form Craftwork Cards, today I am going to focus on The potting shed ll. 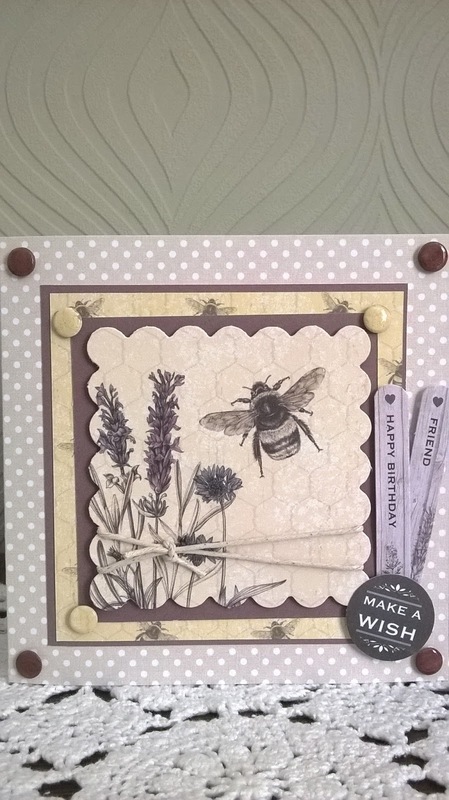 The potting shed ll is a lovely kit with soft lilac, blue and sage colours, it features hand drawn illustrations of bees, birds and gnomes. 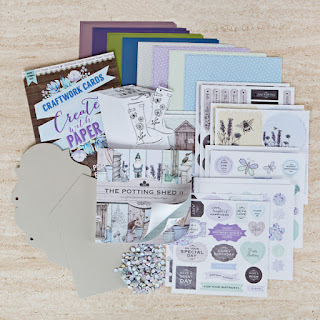 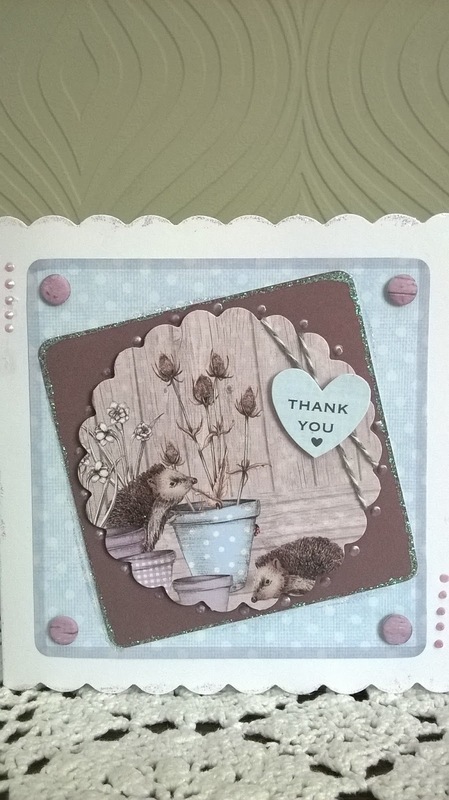 In the kit there are toppers, sentiments, backing papers, candi, chipboards shapes and coordinating welly boots to colour in. 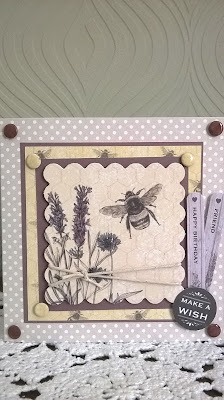 Last of all my favorite cards, for this card I have added glossy accents to the wings of the bee as well as the candi, some garden twine and some coordinating card stock. 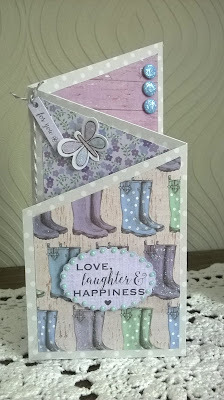 I just love the colours and feel I may find it hard to give this one away. 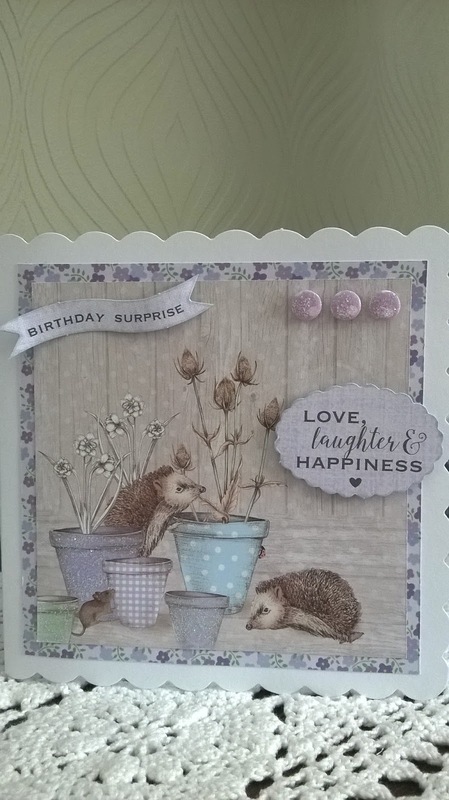 I hope you like the cards I've shared, I'd love to read some comments and feedback from you.